Order Custom Printed Dog Tags that are to official US military specifications – complete with full 1200 DPI full color graphics! 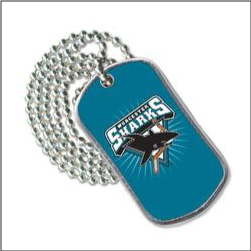 These stainless steel dog tags are very popular with kids events and are a great way to show support for organizations, schools, teams, at parades, for Mardi Gras, casinos, carnivals and fairs as a giveaway or prize, and more. Made in USA. 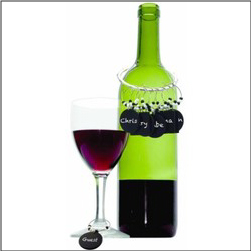 Order custom Wine Charms Chalkboard Set imprinted on one side with your logo, business, event, etc. These wine charms offer the perfect way to keep drinks from getting mixed up or misplaced at events, tastings, parties, wine and art nights, etc. Each set includes 8 chalkboard charms custom printed on one side. Chalk Included. Popular with wine tastings, wineries, vineyards, painting party nights, book clubs, and more. Order your Custom School and Booster Club Magnets imprinted with the school, team, or booster club logo. 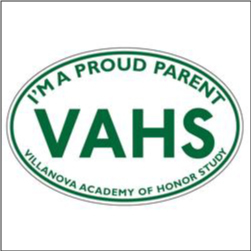 These larger 4inch by 6inch magnets are great to show support for schools, clubs, booster club supports, teams, and so much more. 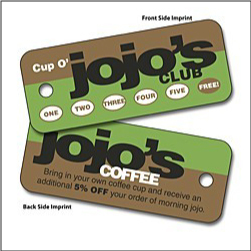 Perfect for the car, fridge, or any other metal magnet stick surface. Very popular with high school sports teams and college sports teams and clubs. Use for fundraising! 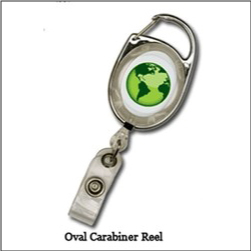 Order custom Imprinted Carabiner Badges with Reel that retracts. Badges come with flat plastic logo area on retractable reel. Ordered in increments of 100. 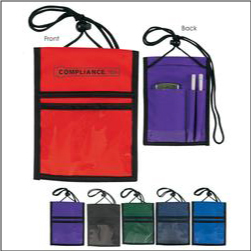 Popular with healthcare, office badges, security ids, maintenance badge needs, school ids, staff id badges, trade show id badges, etc.